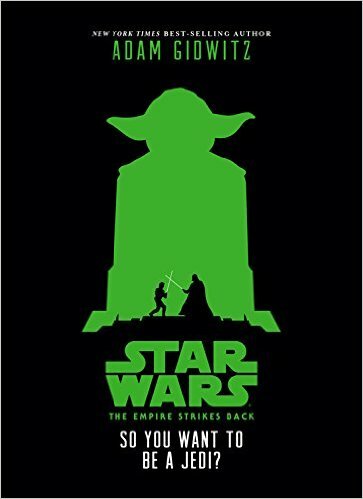 Star Wars: The Empire Strikes Back So You Want to Be a Jedi? by Adam Gidwitz is a terrific book for young readers! I love the unique perspective and narrative style of Adam Gidwitz! This book takes you through it as if you are Luke Skywalker and who doesn't want to be Luke Skywalker?! If you're looking for a good book to encourage children to read this is it! Another amazingly awesome thing about this book is that in between each chapter are real world lessons on how to become a Jedi. My favorite lesson is the lesson on anger. I loved this book and highly recommend it! You can find Star Wars: The Empire Strikes Back So You Want to Be a Jedi? by Adam Gidwitz on Amazon, Barnes and Noble and other bookstores.